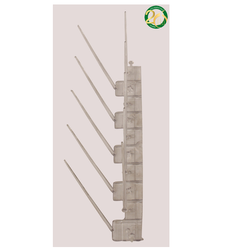 We are a leading Manufacturer of pigeon deterrent gel, 2 row pigeon spike, bird guard spikes for power sector and uv stabilized polycarbonate bird spike from New Delhi, India. 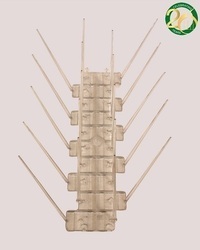 Bird Spikes 2 Row offered comes in sturdy plastic finish that makes it cost effective in usage while providing performance same as stainless steel. Coming with long shelf life of 5 years, these provide for guarantee performance for minimum period of 3 years and are made available in two sizes for meeting extra wide coverage needs. Some of its features include 2 rows of spikes that cover area of cover 60mm + 3mm, suitable for sign posts, pole lamps; standard piece length of 320 mm + 5 mm per piece, allows any number of part to be joined together for forming endless chain, allows usage on any surface like flat, curved; superior star arrangement for optimum fixation and adhesion, lowest cost deterrent for birds. Packaging Details: Packing Size is 20 pcs in one corrugated box (CBS). 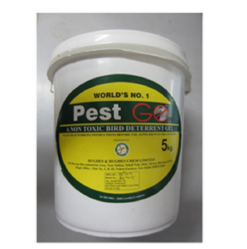 Looking for Pigeon_Control Spikes ?